At the walk, participants can enjoy kids’ activities, fitness demonstrations, health screenings, and heart-healthy snacks. The American Heart Association will recognize heart disease and stroke survivors, and walkers can make tributes to loved ones. The Heart Association's Carrie Skogsberg and Paula Harwood, Manager for the Cardiopulmonary Rehab and Heart Failure Service at Memorial Medical Center talk about the Heart and Stroke Walk on WUIS. Participants can enjoy a 1 or 3 mile walk around Southwind Park’s beautiful walk path. A tram is provided for heart disease and stroke survivors unable to walk the path. Carrie Skogsberg (left) and Paula Harwood in the WUIS studios. The 2015 Springfield Heart & Stroke Walk is locally sponsored by Memorial Medical Center and Blue Cross Blue Shield of IL, and is chaired by Mitch Rogers, Cardiovascular Service Line Leader at Memorial Health System. TO REGISTER: Log on to www.springfieldilheartwalk.org to start a team or to join an existing team. 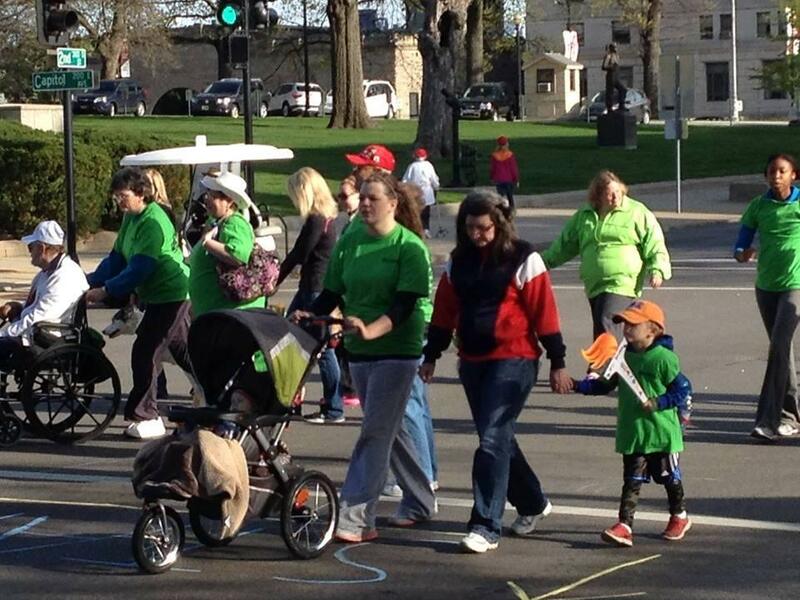 Interested walkers can also call the Springfield AHA office for assistance at 217-698-3838. For sponsorship or to start a company team, please call Karen Gedrose at 217-899-6985 or email Karen.gedrose@heart.org.